Trout Unlimited’s Wild Steelhead Initiative is all about increasing populations of wild steelhead across their native range. Why should we care so much about wild steelhead? There are several reasons, among them the fact that wild steelhead cost nothing to produce, they can be more aggressive towards the gear anglers use to catch them and they often they grow bigger than hatchery steelhead. Wild Steelhead ROCK! Another reason is pragmatic: many wild steelhead populations are now listed or at risk of listing under the Endangered Species Act. Angler surveys have shown that for a strong majority of steelhead anglers — regardless of gear preference — fishing opportunity is a very high value. But if we don’t do more to reverse the current downward trend of many wild steelhead populations, and reduce the well-documented impacts of hatchery fish on wild stocks, our opportunities to fish for steelhead across their range in the Pacific Northwest could be diminished. In 2015, we formed Wild Steelheaders United to help us reach the goal of restoring at-risk wild steelhead runs and better protecting wild populations that are presently healthy. 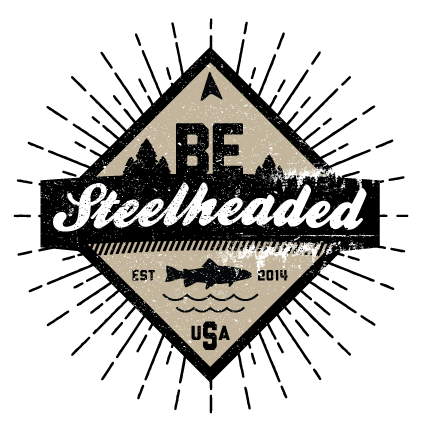 More than 8,000 anglers have since signed the Wild Steelheaders United credo. We pursue our mission on many fronts. We leverage human and capital resources by partnering with a wide variety of stakeholders both in the field and in the arena of policy and management. Our efforts range from habitat restoration, to changes in angling regulations to improve opportunity and fishery conservation, to use of multiple strategies—including sonar, redd counts and snorkel surveys—to improve population monitoring. Our work is always based on the best available science and aims to help advance the science of steelhead genetics, behavior and management. But we are not in favor of letting the perfect be the enemy of the good. Not every river or watershed has the potential to support abundant and diverse populations of wild steelhead, or even hosted wild runs historically. Some watersheds are so degraded in habitat and water quality that the only way we’ll enjoy fishable numbers of steelhead there is to stock them with hatchery fish. If we want to continue to have a variety of steelhead angling opportunities in Washington, Oregon, Idaho and California, some hatchery supplementation is necessary. This is why Wild Steelheaders United supports a “portfolio approach” to managing steelhead rivers: those rivers with the strongest remaining wild populations and the best remaining habitat should be managed for abundance and diversity of wild steelhead, while rivers without these qualities or with low potential for recovering runs of wild steelhead should be managed for hatchery supplementation. This balanced strategy achieves a compromise that provides a diversity of angling opportunity and ensures that the best remaining places for wild fish have a fighting chance. The upper Willamette River in Oregon is one place where the portfolio approach to managing steelhead fisheries should be applied. In the last century, the US Army Corps of Engineers installed a series of dams and reservoirs to control winter flooding in the densely populated lower Willamette Valley, cutting off fish access to some 1,500 miles of suitable spawning habitat in the Willamette River watershed. We know that native winter steelhead never existed in the upper Willamette above the confluence with the Calapooia River, while spring Chinook salmon, pacific lamprey, and resident cutthroat have been here for eons. Nonetheless a “mitigation” hatchery below Dexter Dam has been producing summer steelhead for decades. For many years, those hatchery steelhead were simply released from the hatchery, which produced a summer steelhead fishery in the waters just downstream of the facility. Fun, but a lot of really good water—especially for fly fishing—was found further downstream, all the way through the towns of Eugene and Springfield. In the late 1990s the Oregon Department of Fish and Wildlife began releasing hatchery steelhead smolts at public access points like parks and boat launches from just below Dexter Dam all the way to the confluence with the McKenzie River. Thus, one of the region’s most popular summer steelhead fisheries was created: the “Town Run,” as it’s become known. Today, the Town Run and its hatchery summer steelhead support the regional fishing economy and provide angling opportunity that otherwise would not exist for many months each year. It also takes some pressure off of other popular summer steelhead fisheries that have a strong wild component (places like the North Umpqua, Deschutes and Siletz Rivers, all wild steelhead strongholds, benefit when anglers choose to pursue the hatchery steelhead in the upper “Willy”). 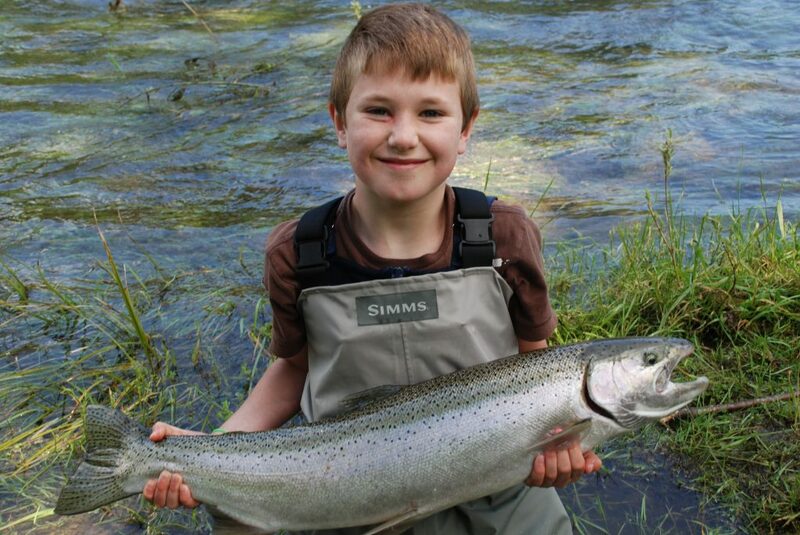 Consistent with our portfolio approach, Wild Steelheaders United supports the hatchery programs in the upper Willamette and McKenzie Rivers, where there are no wild anadromous fish values. However, the Molalla, North Santiam, and other rivers in this watershed still have high quality habitat for wild steelhead. The North Santiam, in particular, has some of the best remaining conditions for wild fish. Yet high levels of hatchery introgression here put the wild steelhead population at risk. An abundance of caution is needed in fishery management if these wild fish are to persist. Thus we also support a more rigorous effort in the North Santiam to minimize the harmful effects of hatchery fish on remaining wild stock. HB 3016, a bill sponsored by Oregon State Sen. Fred Girod (R-Stayton) and Rep. Sherrie Sprenger (R-Scio), allocates between $200,000 to $400,000 to continue releasing 121,000 hatchery steelhead smolts into the North Santiam each spring. The bill is a response to the defunding of the hatchery by the Army Corps of Engineers last year. Given that the North Santiam is an ideal candidate for wild fish-only management, and that the wild population here is at-risk, if HB 3016 passes and hatchery operations continue on this river, it will be important for the legislature and Oregon Department of Fish and Wildlife (ODFW) to allocate some of the authorized funding to robust monitoring and evaluation of hatchery impacts on wild fish in this system. Keeping wild steelhead populations strong, and recovering wild runs in rivers with the requisite habitat and history, should be the first priority for all of us that love these fish. Anglers should also have hatchery fish available for angling opportunity in places where they will have little impact on wild populations, either due to degraded habitat or because wild fish never existed there (e.g. the upper Willamette between Dexter Dam and the Calapooia River) is a good use of those waters. The portfolio approach is a sensible, science-based strategy that will both help recover wild steelhead runs and sustain a variety of angling opportunities. We should apply it to the steelhead fisheries of the Willamette River watershed.